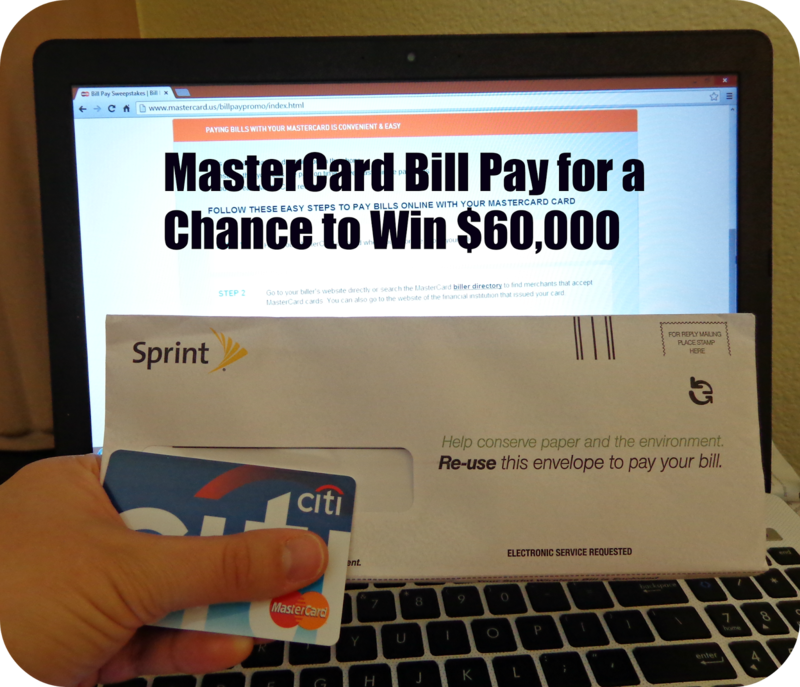 I am so excited to share the current sweepstakes that MasterCard is running for their card holders for the chance to win $60,000 when you pay your bills using your MasterCard. I am a huge sweepstakes fan, I love the thrill of a chance to win for doing something I already do, such as pay my bills. I am a new MasterCard holder and am just starting to learn about the perks of the card. I had not considered the ease of paying my bills online with my credit cards. 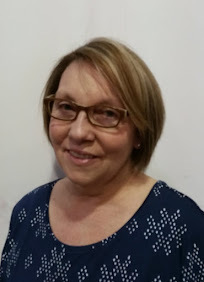 I was very stuck in a rut with getting out my check book, filling out the bill, getting a stamp and driving my monthly bills to the post office. My friend's even laugh that is so old fashion to do so. 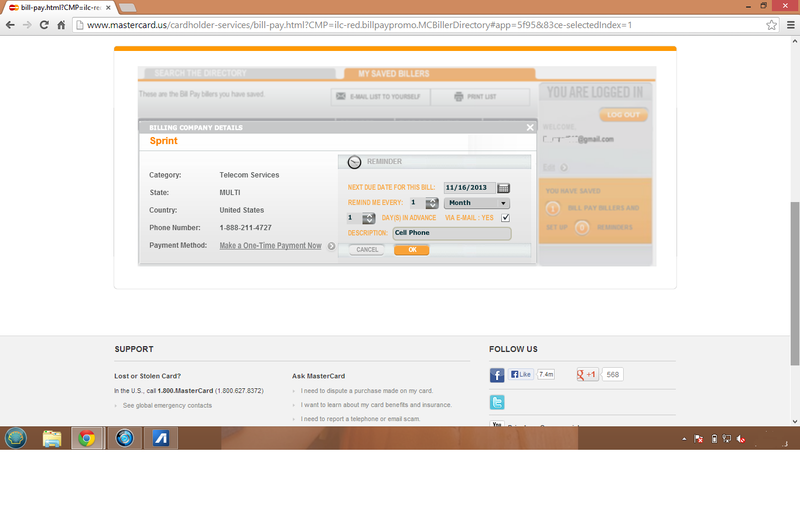 I am wanting to save time as a busy Mom and I am already a cardholder so I decided to give the MasterCard Bill Pay a try. 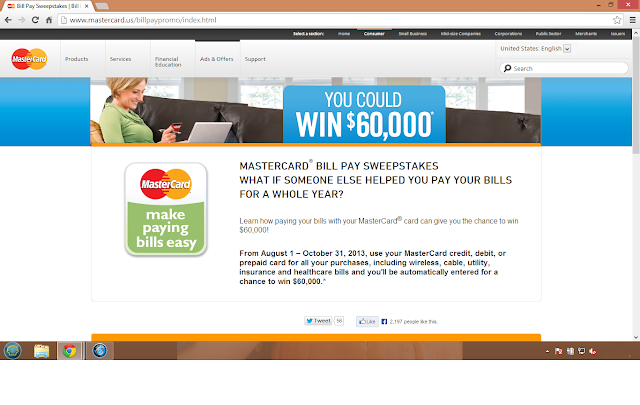 I was surprised on how easy it was to sign up for the online MasterCard Bill Pay. It was simply a email and password then finding the company I wanted to pay on. 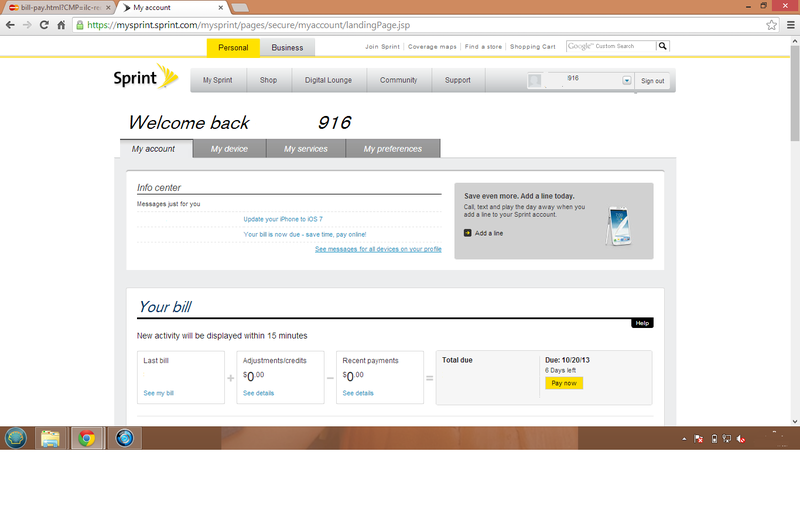 I decided to try setting up my cell phone monthly bill to auto pay each month. I always come so close to forgetting to pay my phone bill and with the auto pay I will not have to worry and also get the chance to win $60,000. I am a big sweepstakes fan, I love to enter for a chance to win stuff. Being automatically entered to win by doing something as simple as paying a bill is awesome! Any MasterCard holder can be entered to win $60,000 by paying your bills with MasterCard by paying a bill with your card from now until Oct. 31, 2013. 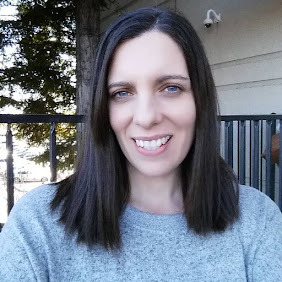 My son and I were so excited at the chance to win $60,000 that we headed to the mall to and see what fun ideas we could come up with for if we win the money. The first thing we would do is take a train ride to see all the family we have spread out across the West. I have always wanted to travel by train so I can relax and enjoy the journey. Our first stop would be to Seattle! Our second thing we would love to do is not just visit the Disney store, but Disneyland! My son loves Mickey and all things Disney. I grew up in Southern California and have been to Disneyland many time but my son has not gone yet. With the money we had left from making memories I would go on a little shopping spree for the house. I would love new dishes, more shelving and decor. We are hoping to buy a house next year and winning $60,000 would be awesome. Fingers crossed and bills paid! 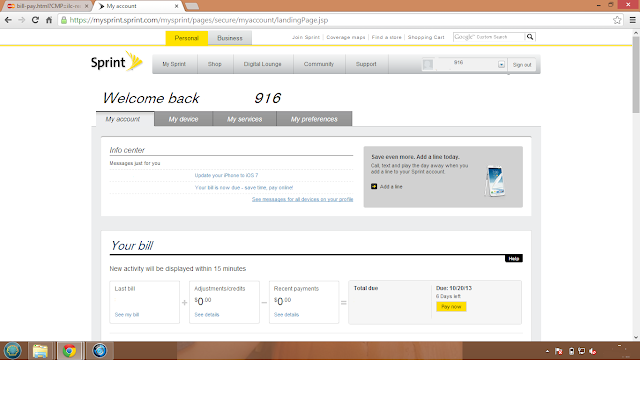 You can read my Google+ story to see how easy it is to sign up for bill pay. What would you do if you were the MasterCard Bill Pay $60,000 Sweepstakes winner?